Thalamocortical oscillations can be Affective? Current interest in a presentation given through Stanford in a series of 6 videos had brought up for me the question of what consciousness is. A fundamental recognition of what consciousness is, as it is measured. So we speak about the different frequency ranges that are examined as "attributes of that consciousness." The understanding I have in regard to this question is whether we could induce those frequency ranges as an "affect" directly through the thalamus to the whole brain. This so as to bring the whole brain toward coherence. The human visual pathway. 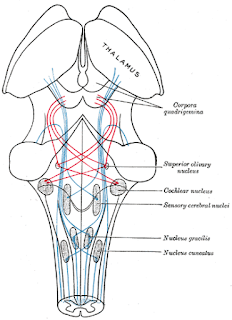 The lateral geniculate nucleus, a region of the thalamus, exhibits thalamocortical oscillation with the visual cortex. The answering of this question through experimental validation had come through in a couple of what I am regarding as those, which could reach these measured brain states, as in TM, or in use as a binaural method. As listed through the lectures such evidence while directly not attributed to sound, was revealed in a question by a audience member in the last video , We Create Our Reality. Cymatics (from Greek: κῦμα "wave") is the study of visible sound and vibration, a subset of modal phenomena. Typically the surface of a plate, diaphragm, or membrane is vibrated, and regions of maximum and minimum displacement are made visible in a thin coating of particles, paste, or liquid. Different patterns emerge in the exitatory medium depending on the geometry of the plate and the driving frequency. A thought had occurred to me a long time ago with regard idea of using polymerization substances as a technique in order to bring concrete into a orderly and fast solid state process. This was an answer to how through such a dream period, I observed I had used such a process so as to create designs to incorporate into a lattice screen with which to divide a room. In the absence of gravity looking to space above earth, such molecular arrangements were significant to me about how pureness could have been attained regarding a "crystallization process." So the thoughts had occurred to me that in a three dimensional context of the chaldni plate(2 dimensional expression) what may be adhering inside any boxed frame of reference to say that it would be "coherent" so as to be brought into a pattern matching this particular sound. How far a leap then too, lets say bring brain coherence into a EEG state of consciousness. EEG in Gamma-A gamma wave is a pattern of neural oscillation in humans with a frequency between 25 and 100 Hz, though 40 Hz is typical. Here exists a measure with which consciousness can be associated, then, by such neural oscillations it would have some effect in demonstrating that matter would/could correlate to such frequencies? In "we create reality" listed in blog post below, a simple suggestion it seems makes thinking in this range somewhat appealing? I mean, is it really that easy that what we choose to do with our thinking can actually produce physiological implications in the thinking brain so as to suggest we can actually create these states? Frederick Travis, PhD, director of the Center for Brain, Consciousness and Cognition, explains that the concept "We create our reality" is more than a philosophical statement. It is a physical reality driven by neural plasticity—every experience changes the brain. 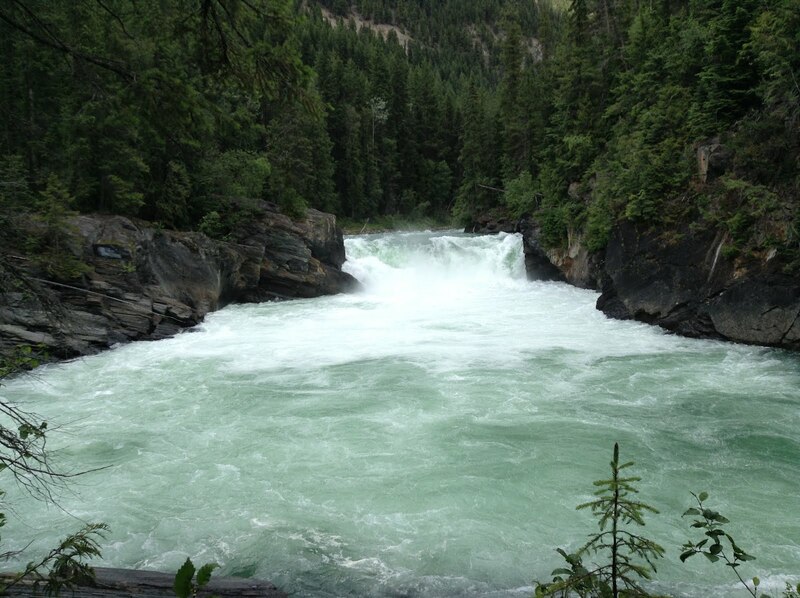 Therefore, choose transcendental experiences and higher states of consciousness naturally unfold. See: We Create Our Reality (underlined for emphasis by me). 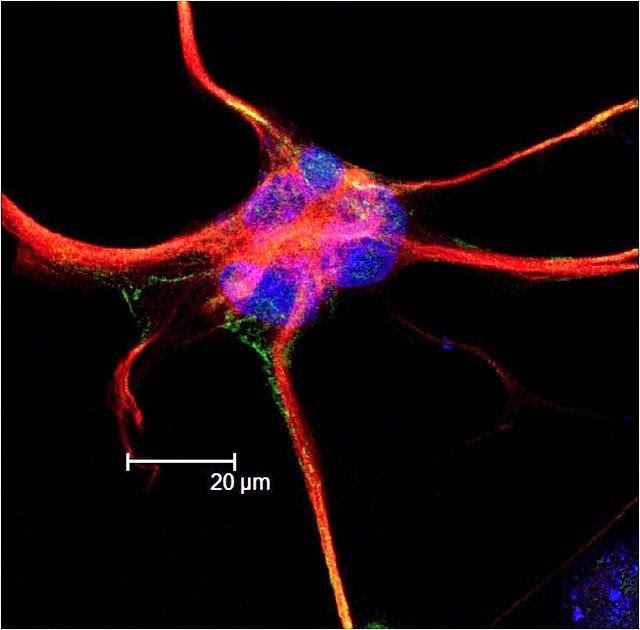 Calcium Waves-Astrocytes are linked by gap junctions, creating an electrically coupled (functional) syncytium. Because of this ability of astrocytes to communicate with their neighbors, changes in the activity of one astrocyte can have repercussions on the activities of others that are quite distant from the original astrocyte. An influx of Ca2+ ions into astrocytes is the essential change that ultimately generates calcium waves. Because this influx is directly caused by an increase in blood flow to the brain, calcium waves are said to be a kind of hemodynamic response function. An increase in intracellular calcium concentration can propagate outwards through this functional syncytium. Mechanisms of calcium wave propagation include diffusion of calcium ions and IP3 through gap junctions and extracellular ATP signalling. Calcium elevations are the primary known axis of activation in astrocytes, and are necessary and sufficient for some types of astrocytic glutamate release. 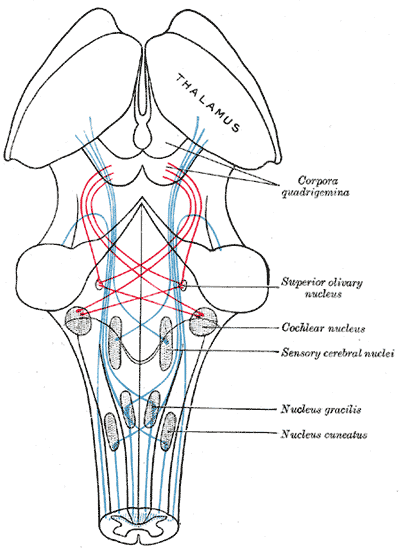 Scheme showing the course of the fibers of the lemniscus; medial lemniscus in blue, lateral in red. (Superior olivary nucleus is labeled at center right.) 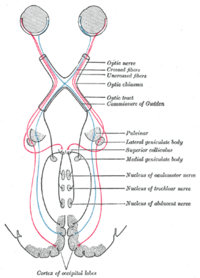 The superior olivary nucleus is considered part of the pons and is a part of the auditory system, aiding the perception of sound. It is important that people understand that I hold no credentials in terms of physiology or credentials as a scientist. This is purely from a layman subjective questionings, as to the viability of what helps to produce effective layering of consciousness's abilities to explore. Why is this effective and what is accomplished? It is healthy to retain some skepticism as a method for sounding the process for discovery about truth in the quest for what affects can be established. So while retaining these questions in mind, the effect of what can be gained from the idea of Binaural beat as a tool for development of consciousness is an important one to me. I am of course drawn to those comments that deal directly with the explanations of science and physiology . Studies have shown a neurological basis of binaural beats perception which have assisted in identifying subcortical regions associated with processing phase differences between sounds. These have been found to be generated by neurons in the inferior colliculus, auditory cortex ,  and the medial olivary nucleus, all of which are thought to be involved in processing and integration of auditory stimuli . The effect of binaural beats on psychological and biological aspects however has been somewhat less clear. A final consideration is the use of pink noise, overlaid music or sound, to generate some sort of effect. One study  compared music with an embedded binaural beat to music without one and generated a significant decrease in pain medication both during and after an operation, however the study was not controlled as participants were allowed to choose their own music. Also, other studies using pink noise ,  have not detected entrainment, but have found psychological changes previously discussed. Comparing pink noise with a binaural beat, without and a control and subsequent effects on electrophysiological and psychological factors may be of interest. Brainwave entrainment (BWE), which uses rhythmic stimuli to alter brainwave frequency and thus brain states, has been investigated and used since the late 1800s, yet many clinicians and scientists are unaware of its existence. We aim to raise awareness and discuss its potential by presenting a systematic review of the literature from peer-reviewed journals on the psychological effects of BWE.A comprehensive review of the psychological effects of brainwave entrainment.